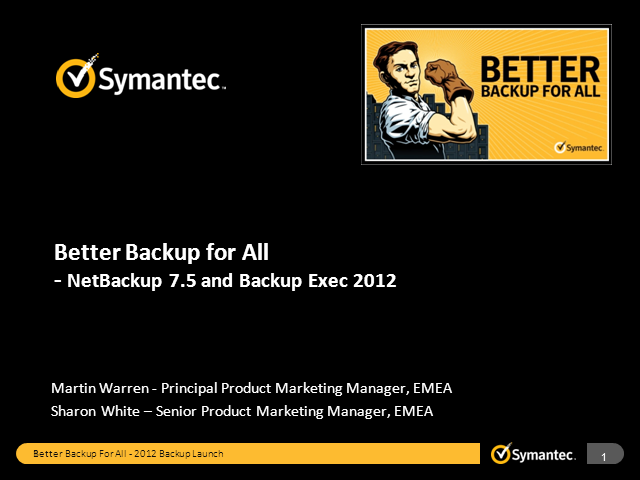 Join us and hear the latest innovations in Symantec NetBackup™ 7.5 and Symantec Backup Exec™ 2012. Attend this webinar to hear about key industry challenges and how Symantec solutions create better backup for all. During this session you will learn about protecting your information assets.